Every year, millions of men and women experience hair loss, some as early as their 20s. There are a number of different medical and environmental factors that can contribute to hair loss, and seeing your physician to pinpoint the cause is key to receiving the right treatment. Dr. Joel Schlessinger discusses normal hair shedding and growth. Hair loss is not the same as regular shedding. It may be alarming to pull loose hairs from your ponytail daily or have a clump of hair clog the shower drain weekly, but the average person sheds between 50 and 100 hairs a day as part of the natural growth cycle. Everyone is a little different when it comes to the natural shedding process, and only you will be able to tell if you’re losing more hair than usual. It’s also important not to confuse hair breakage with hair loss. Frequent heat styling and chemical treatments can leave hair dry, dull and brittle, with split ends. When split ends travel up the hair shaft, they may break off close to the root, giving the illusion of hair loss. Severely damaged hair should be rehabilitated through a deep conditioning regimen and a hiatus from hot tools. Genetics is the leading cause of hair loss, says Dr. Joel Schlessinger. The single largest cause of hair loss is genetics. Hereditary hair loss is referred to as female-pattern baldness or male-pattern baldness, respectively. In female patients, it’s characterized by thinning hair around the crown. 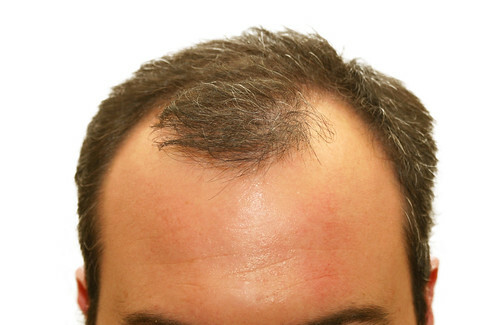 Male patients may experience a receding hairline in an M shape or loss that begins at the temple and extends to the crown. Hormonal changes can contribute to hair loss for both men sexes, but more commonly, women. 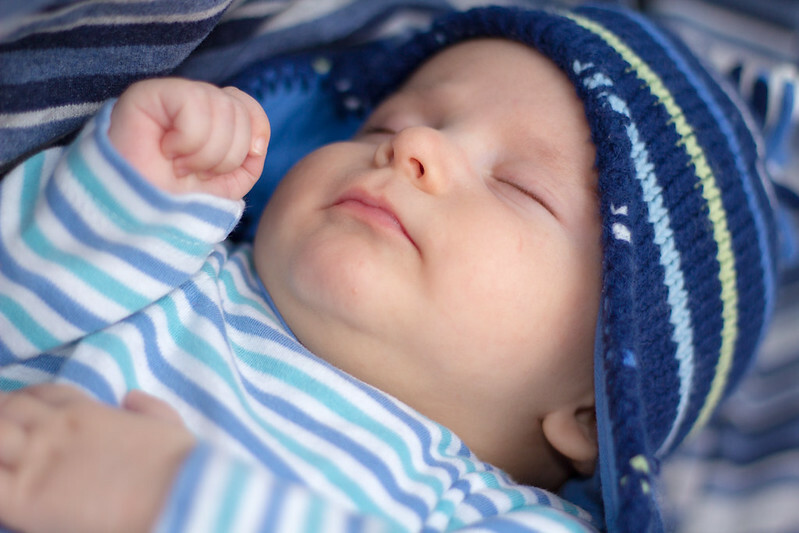 It happens directly after childbirth due to quickly falling estrogen levels. This loss usually peaks around four months post-birth and then hair returns completely back to normal after one year. Occasionally, the shifting hormones associated with menopause can cause hair loss, but this is relatively rare, and it is also temporary. Certain antidepressants, birth control pills and drugs to treat epilepsy, high blood pressure and arthritis can interfere with the hair’s natural growth cycle and cause loss. Radiation therapy for cancer also causes hair loss, as well as change the color and texture of hair. Ringworm, seborrheic dermatitis and certain types of fungus can all cause irritation, inflammation, scarring and then eventual hair loss. Folliculitis, or inflammation of the hair follicles, may look similar to acne in appearance, with little rings around individual hair follicles. This condition can lead to temporary or permanent hair loss due to inflammation. Alopecia areata is a condition that usually affects the scalp and results in patchy hair loss. It is an autoimmune disorder that occurs when the immune system attacks hair follicles and disrupts normal hair formation. Changes in the thyroid may affect hormones and the rest of the body’s systems, including the hair growth cycle. When the thyroid is hyperactive, hair may grow finer and thinner, and when the thyroid is underactive, thinning and loss may occur. Also, certain medications that are frequently prescribed for an underactive thyroid count hair loss among their side effects. Traction alopecia is a form of gradual hair loss that occurs by pulling force to the hair. It is most common in those individuals who frequently style hair in tight braids, cornrows, pigtails and buns, and it is characterized by a receding hairline. If left untreated, traction alopecia can cause scarring and permanent loss. Consult with your dermatologist about treating hair loss, Dr. Joel Schlessinger says. Treating hair loss depends entirely on the type of hair loss being experienced. For temporary hair loss due to medication or hormone fluctuations, a supplement can help encourage healthy growth. Try Viviscal Professional Supplements. These exciting new dietary supplement tablets contain AminoMar Marine Complex, apple extract, biotin, vitamin C and a blend of essential amino acids to help rehabilitate hair in four stages. Hair is first nourished, then thin wispy hair is strengthened. Breaking and thinning continues to decline, and hair becomes stronger, healthier and more vibrant. The supplements work wonderfully for both men and women suffering from hair loss due to everyday stress, medication, hormonal changes and more. The Rene Furterer Triphasic Progressive Hair Loss Kit and Rene Furterer RF80 Sudden Hair Loss Kit include comprehensive regimens to help strengthen and fortify thinning hair. Triphasic Progressive Hair Loss Kit is perfect for those struggling with hereditary hair loss. It contains Complexe 5 Regenerating Plant Extract to help strengthen hair at the root, Forticea Stimulating Shampoo to increase microcirculation and Triphasic Regenerating Treatment to target and correct hair loss. The RF80 Sudden Hair Loss Kit is specially formulated for those experiencing sudden hair loss from temporary factors like hormonal changes, lack of nutrients and certain medications. It includes Complexe 5 Regenerating Plant Extract to strengthen hair at the root, Forticea Stimulating Shampoo to help encourage microcirculation and RF 80 Concentrated Serum to provide nourishment to weak, thinning strands. There are also at-home devices available to address hair loss. Try the Hairmax Lasercomb Advanced 7, a laser photo therapy device that is clinically proven to stimulate hair follicles. With just three 15-minute treatments a week, you can enjoy new growth in as little as 16 weeks. Do you have a question for Dr. Schlessinger about hair loss? Let us know in the comments section.